Boring, dull, self-referential. These are so frequent adjectives when it comes to B2B content that marketers often rename ironically business-to-business to bland-to-boring. This definition seems to be rejected by the recent Content Marketing Institute’s B2B research: “Sixty-two percent of B2B marketers in North America”, underlines the Institute’s founder, Joe Pulizzi, “say that compared to one year ago, their organization’s overall approach to content marketing has been much more or somewhat more successful.” And marketers attribute this success to two top factors: higher quality in content creation and developing or adjusting their content marketing strategy. No more boredom, then? Not exactly. Because recognising the importance of content marketing is one thing, creating and distributing interesting and engaging content is another. At Ignite 2017, the B2B marketing event held in London last June, one of the most heard word was creativity, something that is still missed and that businesses can’t do without anymore, even in the B2B world. The “unconvenient truth”, as the Ignite’s speaker Brian Macreadie calls it, is that every B2B business has lots of competitors who adopt the same content marketing strategies as they do: the result is an undifferentiated marketing noise that people end up to ignore because it is not useful to them. That noise is made of content which sounds all the same, not being interesting nor engaging. In two words, boring-to-blend content. It is too general: it often repurposes commercial content and materials (like brochures, presentations, product sheets) indifferently, without building specific messages to the specific audiences. 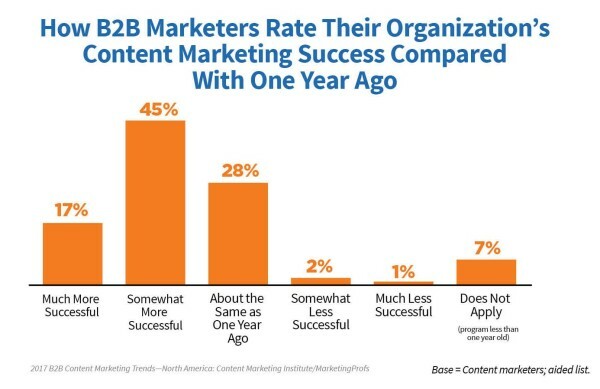 This is the reason why B2B content becomes ineffective: it focuses on the company, instead of customers, and does not meet the audience’s needs; the company itself does not stand out from its competitors and it cannot position itself as a referral source for the customers. B2B businesses often consider their customers only as other businesses, while they should remember they deal with people, who are not only consumers, but even much more demanding than B2C consumers. more insights from industry thought leaders and analysts. 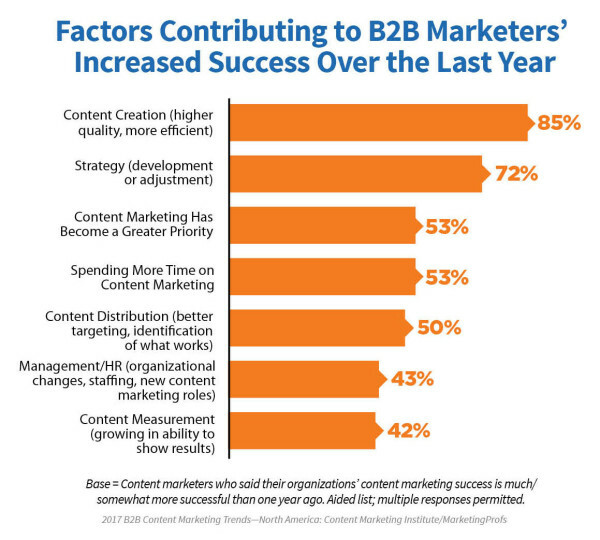 The survey clearly outlines the perfect B2B content: fewer sales messages and company opinions, more learning and reliable information. Even in B2B content marketing, then, content’s goal has not to be selling, but positioning organisations as credible sources of information, to increase the brand awareness. And the professional to achieve this result is a brand journalist. A brand journalist uses journalistic principles and techniques to transform corporate content in interesting and reliable information. A brand journalist helps the brand to activate the media mindset, which, as Tom Foremski taught us, makes every company able to become a media company, talking directly to its audience. write high-quality content with a clear and simple language, getting rid of any jargon and developing the content with a professional and correct approach: a journalist knows how to create value for the audience. A brand journalist creates content which is useful, because it is reader-focused; relevant, because is it rich in information; authoritative, because it is verified and confirmed by trustworthy sources. And this is exactly the content a B2B company needs to engage its customers. The journalistic mindset and techniques are suitable to the B2B world, as proved by the long-running brand journalism example, The Furrow, the magazine created by John Deere in 1837 for farmers: it is still published by Deere & Company, one of the world leaders in manufacturing agricultural machinery, and it has 2 million readers all over the world. Even recently many B2B businesses choose brand journalism, as shown by these three examples. OPEN Forum is proof that American Express followed Seth Godin’s lesson: even entrepreneurs are consumers. UPS is the world’s largest delivery company and provider of supply chain services, but its brand journalism website, Longitudes, is not just about logistics: it ranges from 3D-printed clothes to mompreneurs. In fact, Longitudes claims itself as a home for debating on the issues and trends of the global economy. In addition to general topics such as innovation and sustainability, the website has a section called Industries, about aerospace, automotive, e-commerce, healthcare and manufacturing. There are likely to be the industries where UPS’s customers work: the delivery company talks to each single audience, with specific content for each industry: for example, driverless cars or healthcare in 2030. Through Longitudes, UPS provides audience-focused information to engage different groups of customers. As Forbes underlines, Basecamp’s CEO Jason Fried refused more than 100 investment offers from venture capitalists and private equity firms because he prefers slow and profitable growth “to enjoy the culture of a small business.” Forbes included Basecamp among Small Giants 2017, the annual list of the 25 best small enterprises. Basecamp, established in Chicago in 1999, produces cloud-based software for small businesses, has 52 employees and a revenue of 25 million dollars: it is therefore much smaller than American Express and UPS. Yet, it created one of the more interesting experiments of brand journalism, The Distance. It is a podcast series – with a full transcript for those who prefer to read – about businesses that are at least 25 years old, “human stories that illuminate the joys and struggles of building something that lasts”. To look for these stories of small, but determined entrepreneurs and tell them as interviews, Basecamp has chosen a journalist, Wailin Wong, former business reporter for the Chicago Tribune. 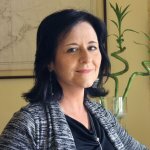 She discovers unknown businessmen and unusual stories: for example, the oldest American bicycle manufacturer or a grocery store became a tourist attraction. The newsroom is small as well: the journalist, a producer and an illustrator. There is no need to invest much to do great brand journalism. The Distance says the editorial team is responsible for selecting and reporting stories: accordingly, it is totally independent, as it should be in any journalistic project. Moreover, they do not tell stories about Basecamp’s customers: they respect journalistic ethics, and this makes The Distance a credible source for their audience. These three examples prove B2B content does not need at all to be boring: you only need to have the media mindset and the right professionals to achieve an authentic and effective brand journalism.